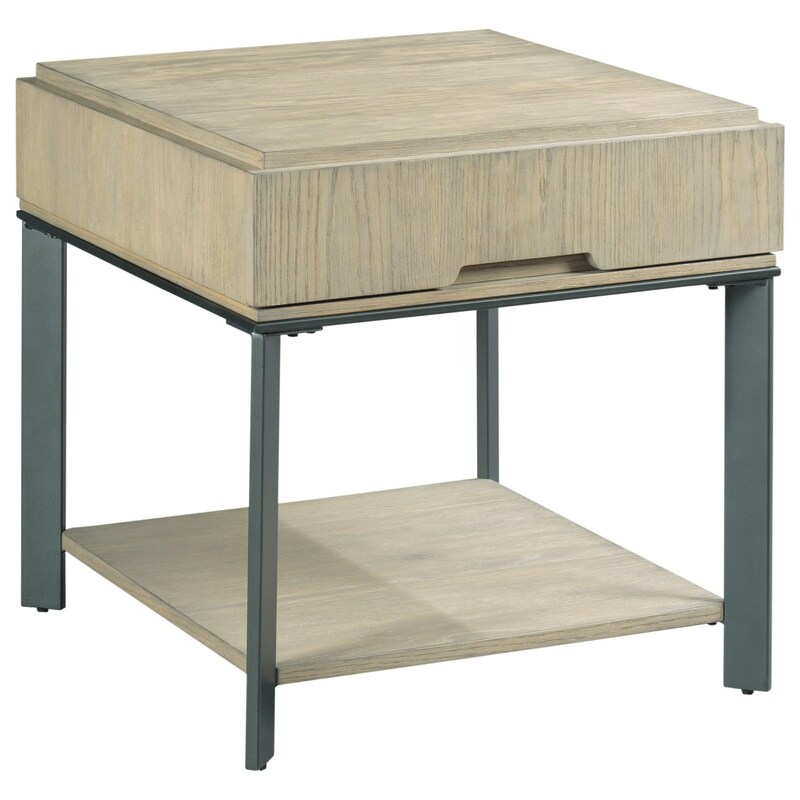 This rectangular end table brings both storage and inviting contemporary style to your home. Featuring unique cut out finger pull hardware and contrasting metal legs, this piece is one-of-a-kind. A wire brushed finish brings focus to the dimension and beauty of the oak veneers. The Sofia Contemporary Rectangular End Table with Storage Drawer by Hammary at HomeWorld Furniture in the Hawaii, Oahu, Hilo, Kona, Maui area. Product availability may vary. Contact us for the most current availability on this product.